Possible came to us to help them create an impactful animation for the launch of Yonex's latest badminton raquet. They wanted it to stand out from any previous raquet communications they had created. With some ideas already on the table we worked with Possible to create a creative execution that would not only look beautiful but communicate the powerful impact of the raquet’s innovative design. 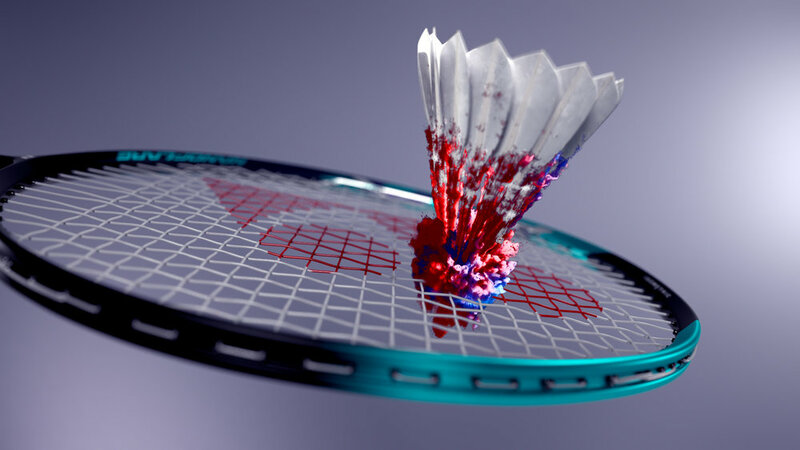 With particle explosions created in Houdini and an exact model of the raquet we animated slow motion frames depicting the point of impact and transference of power into the shuttle. The result was a beautiful and energetic look that also worked in still frame communications.